What do you call the discovery of Bachman’s sparrows at Joe Kurz Wildlife Management Area? DNR senior wildlife biologist Nathan Klaus calls it “the ultimate measure of success” for native grassland restoration at the Meriwether County WMA. Here’s why. Not only were two of the iconic grassland sparrows – state-listed as rare and uncommon in the Piedmont – banded and released July 25 at Joe Kurz, but both were juveniles. And two other males were heard singing. All suggests Bachman’s sparrows are nesting at the WMA near Gay. The closest known population is at Fort Benning, some 60 miles away. “Over the years we’ve had some good results, but this takes the cake,” wrote Klaus, who works for the agency’s Nongame Conservation Section. Work to restore grasslands at Joe Kurz and Panola Mountain State Park has been supported by the Georgia Ornithological Society and Georgia’s Important Bird Areas Program. Regional Game Management Supervisor Kevin Kramer said the goal at Joe Kurz is “improving the habitat for all wildlife,” from songbirds to game species such as northern bobwhites and wild turkeys. These tracts planted in species such as big bluestem and maintained by prescribed fire have drawn scores of birds -- a bobwhite was banded there this year and a "hatch-year" loggerhead shrike in 2013 -- and other wildlife, including deer. 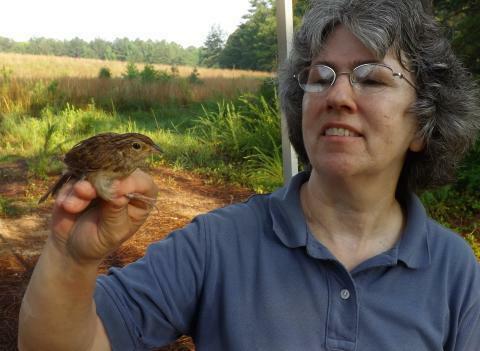 Then came the Bachman’s, a grassland-loving, ground-hugging sparrow rated in decline, largely because of the loss and degradation of longleaf pine savannas. Charlie Muise, Georgia Important Bird Areas Program coordinator, heads the Joe Kurz banding station and had hoped for a Bachman’s, considering the thriving grassland and a thinned pine tract nearby. But when the first juvenile turned up in a net, he took extensive measurements before convincing himself it was a Bachman’s. Then another juvenile was caught, and two adult males were heard singing. Klaus says the sparrows and other evidence, such as native grass species that weren’t planted showing up in restoration areas, affirm that the restoration is on target. The hope now is Joe Kurz becomes a source for Bachman’s sparrow populations across the region. Volunteers are needed at Joe Kurz and Panola Mountain to harvest native grass seeds for restoration, maintain banding stations and conduct bird surveys. Email Charlie Muise for details. 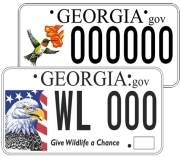 Buying or renewing an eagle or hummingbird license plate – only $25 more than a peach plate! – provides vital support for the Nongame Conservation Section, which receives no state funds for conservation. The check station at the 3,700-acre WMA is less than three miles east of Gay in northern Meriwether County. Visitors who are hunting or fishing need appropriate licenses. A Georgia Outdoor Recreational Pass, needed for other uses at some state lands, is not required at Joe Kurz. There’s no debate that Bachman’s sparrow is named in honor of the Rev. John Bachman, a South Carolina minister, naturalist and collaborator with John James Audubon. The disagreement is how to pronounce his name: Back-man or Bock-man? Authorities come down on both sides. What direction will the DNR Nongame Conservation Section take under new Chief Dr. Jon Ambrose? Recently promoted from assistant chief, the ecologist and 27-year DNR veteran discusses the work and outlook – from prescribed fire to loggerhead sea turtles – centered on Georgia’s nongame wildlife in this blog post. “For some of our imperiled species, you’re just not going to see a rapid comeback. Check out the Q&A on the Wildlife Resources Division blog. Most Georgia hummingbird enthusiasts are delighted that the numbers of hummingbirds visiting their feeders are increasing weekly. But there’s a downside: More ants, yellow jackets, honeybees and wasps are also converging on feeders. This can cause problems for hummingbirds and humans. If you are trying to thwart an invasion of these relentless pests, here are some battle strategies that some of our fellow Georgians are following to ward off the unwelcomed invaders. 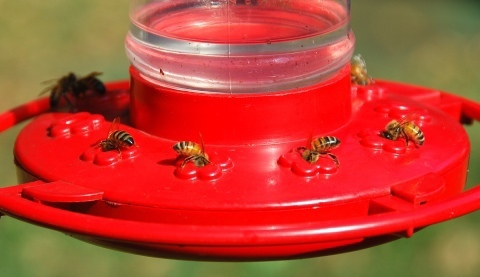 Read Terry’s column for pest-free tips on ant moats, bee guards and homemade yellow jacket traps. A dog killed an American oystercatcher chick on Williamson Island last month, spurring renewed DNR requests for pet owners to leave dogs at home or at least keep them on a leash when visiting the beach. Dogs are banned at some beaches, including the one where the oystercatcher chick (left) died. The orange-billed birds, state-listed as rare, have a low reproductive success rate. In Georgia, biologists have documented no more than 20 chicks fledging in a summer. News coverage. 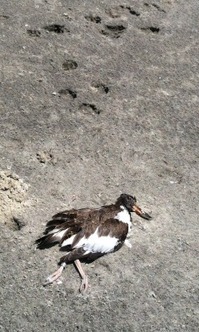 Conserving beach birds. Whorled sunflower is being federally listed as endangered. Although known from only four counties in three states, most of Georgia’s population of the plant – found at The Nature Conservancy’s Coosa Valley Prairie property in Floyd County – is protected through a conservation easement with Plum Creek. See Alan Cressler's photos of the Coosa Valley Prairies. Eagle cam fans will have a second Georgia nest to follow this fall. Skidaway Audubon installed two cameras on a nest at The Landings on Skidaway Island last month. Savannaheaglecam.com will start streaming HD video when the birds return – as soon as September – adding coastal eagles to the online lineup that will again feature the ultra-popular Berry College eagle cam. News coverage. Thirty-three western striped newt efts have been caught at Apalachicola National Forest wetlands where researchers are reintroducing the rare amphibians. The latest news from the Coastal Plains Institute project is keyed by breeding-age newts caught at DNR’s Fall Line Sandhills Wildlife Management Area, a vital source of the species indigenous only to south Georgia and north Florida ("Fall Line wetland powers projects," May 2011). Read (and watch) more. Concerned that fireflies are disappearing, Clemson University researchers have developed a free app that can be used to measure firefly populations in a park, neighborhood or even your yard. The Vanishing Firefly Project also sponsors a summer-long, citizen-science census of the beloved insects. A draft of Georgia’s 10-year Deer Management Plan will be the focus of eight public meetings Aug. 18-21 across the state. Each meeting will provide an overview of stakeholder recommendations and proposed DNR actions on key deer management issues, followed by a time for comments. 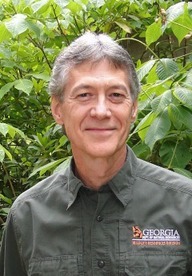 Names in the news: The Georgia River Network's new executive director is Glenn Dowling. Dowling said the network is “giving me the opportunity of a lifetime to amplify the voice of Georgians with a passion for passing on the natural heritage that is our rivers.” The Georgia Wildlife Federation recognized state Rep. Bubber Epps of Dry Branch as “the driving force” behind the legislation this year that rolled back the price of DNR wildlife plates to only $25 more than a standard plate and dedicated up to $20 of those fees to wildlife conservation. DNR Ranger 1st Class David Webb has been named Wildlife Officer of the Year by the North American Wildlife Enforcement Officers Association. Webb worked as an investigator and undercover officer in Operation Something Bruin, a federal and state investigation targeting illegal bear hunting and guiding on U.S. Forest Service lands in Georgia and North Carolina. DNR Public Affairs staff won two national awards from the Association for Conservation Information. Ryan Holt’s north Atlantic right whale logo for Weekend for Wildlife earned first in graphic design, while David Allen, who handles social media, placed second in online community engagement. Aug. 16 -- Snake Day, Cochran Mill Nature Center, Palmetto. Oct. 21-24 – 10th Biennial Longleaf Conference, 9th Eastern Native Grass Symposium and National Prescribed Fire Council meeting, Mobile, Ala. When Sharon Emmett of Daphne, Ala., found nine bluebird eggs in her backyard nest box, she asked Georgia Wild what was up and what – if anything – should she do. “Egg dumping,” he continued, “is a form of brood parasitism where the ‘egg dumper’ doesn’t have to invest time and energy in the rearing of the young. This allows the dumper to produce another clutch of eggs elsewhere, often in its own nest. The ‘dumpee’ and her mate often unwittingly raise one or more of the dumper’s young. This week, Emmett said four bluebirds fledged from the nest, leaving behind three eggs in the box (what happened to the other two is a mystery). While interested to see what next spring brings, she plans to put up a second nest box and wrote that she's hoping for "less drama and normal-sized nests." 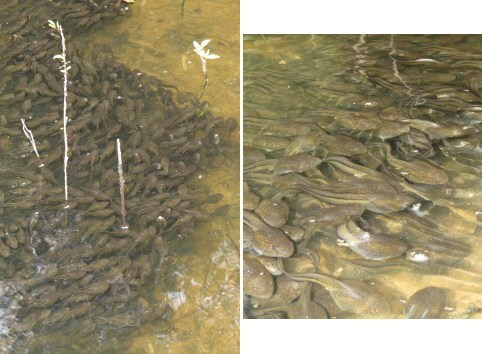 This wave of river frog tadpoles on the Ohoopee was photographed by The Orianne Society’s Dirk Stevenson at Big Hammock Wildlife Management Area near Glennville. Stevenson writes on Facebook that when the late Cornell University herpetologist Albert Hazen Wright encountered “the strange tadpoles of the river frog, he knew instantly he was looking at a new species,” Stevenson says an adult female river frog can lay up to 14,000 eggs and the tadpoles, which take one to two years to develop, can grow 5 inches long. River frogs are the only Georgia native frog whose tadpoles school en masse. Stevenson also mentions the mass metamorphis last year in Lee County (“Rare river frog event,” June 12, 2013). Hear river frogs. Get an updated "Calls of the wild: vocalizations of Georgia's frogs" CD.